Adobe was kind enough to ship out not one, but two copies of the new Creative Suite 3, which arrived today. The two copies are the Web Premium and the Design Premium. I have decided to install the Web Premium on my Macbook Pro, while the Design Premium will go on the PowerMac G5. Today is Day One – Install on the Macbook Pro. The easiest thing in the world is installing a program on a Macintosh. It is either drag and drop, or running an installer program. In the case of CS3, it runs an installer program. 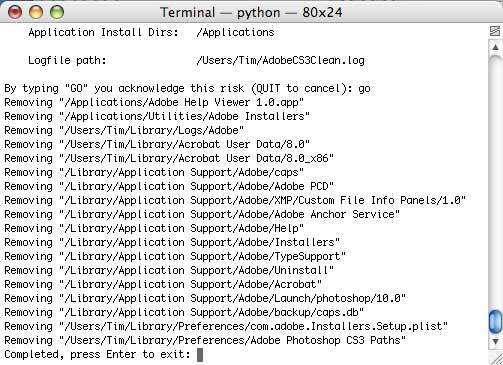 And not the (sometimes) great Apple installer, but one created by Adobe. It looks very much like a PC installation application, very unMac-like. The first time I ran the installer, it told me that it could not install Adobe Photoshop CS3, due to a conflict with a copy already installed. Ah, yes, I had installed the Beta version a few months ago. I was only able to use it for (I think) a day before the trial ran out. For some reason, the Beta version would not accept my valid CS2 validation key so that I can continue to use the Beta. In my one day, I was very impressed with the speed of Photoshop Beta, but I did not have enough time to really get to know the application well. Rather than contact Adobe to fix the validation key problem, I just shrugged my shoulders, dragged Photoshop CS3 Beta to the trash, and forgot about it. Had I spent the time (who does?) to read the Read Me file, I would have learned that you cannot uninstall CS3 by simply dragging it to the trash. Adobe, in it’s infinite wisdom, has decided to employ an Uninstaller application, and you must run that to get rid of the CS3 beta. Opps. So I found it in my Utilities folder, ran it, and it did not work. Because I had simply dropped Photoshop CS3 Beta in the trash, it would not uninstall all the other little CS3 Beta bits scattered around my hard drive. 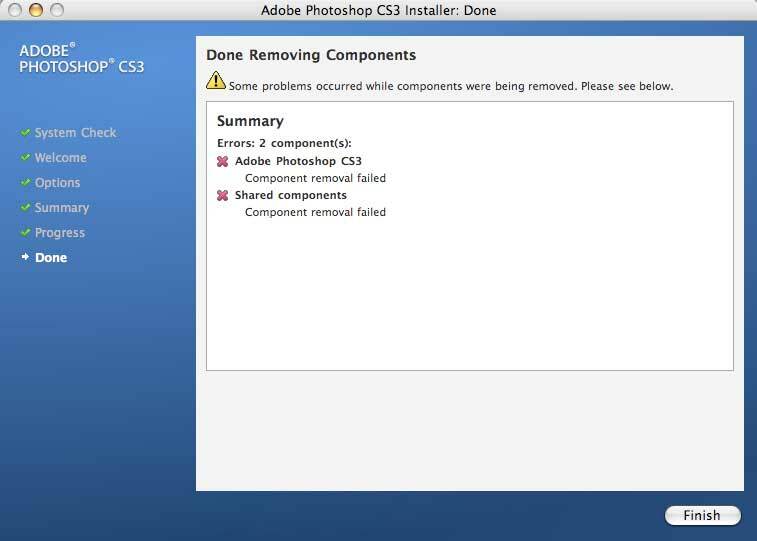 So the full retail review copy of CS3 Web Premium Installer would not allow me to install Photoshop CS3. And let’s be honest, without Photoshop, CS3 is like buying a car without a motor.